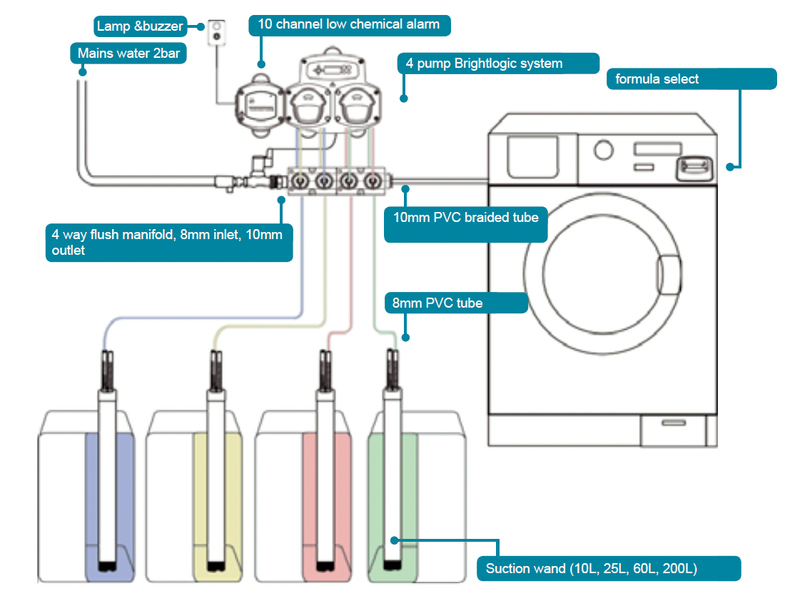 The BrightLogic high-flow laundry dosing systems for industrial laundries can dose from 1 to 10 chemicals with a flow rate of up to 30oz* per minute. 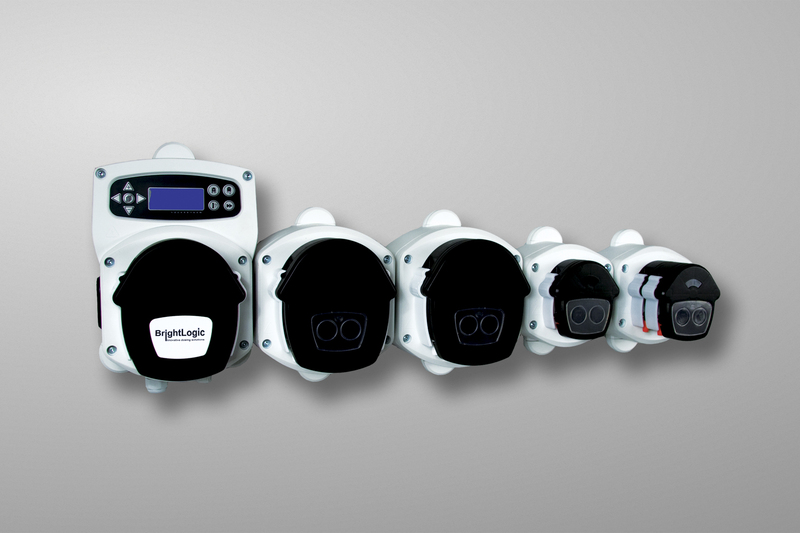 The high-flow pumps can be mixed with on-premise laundry dosing pumps to suit various dosing needs. 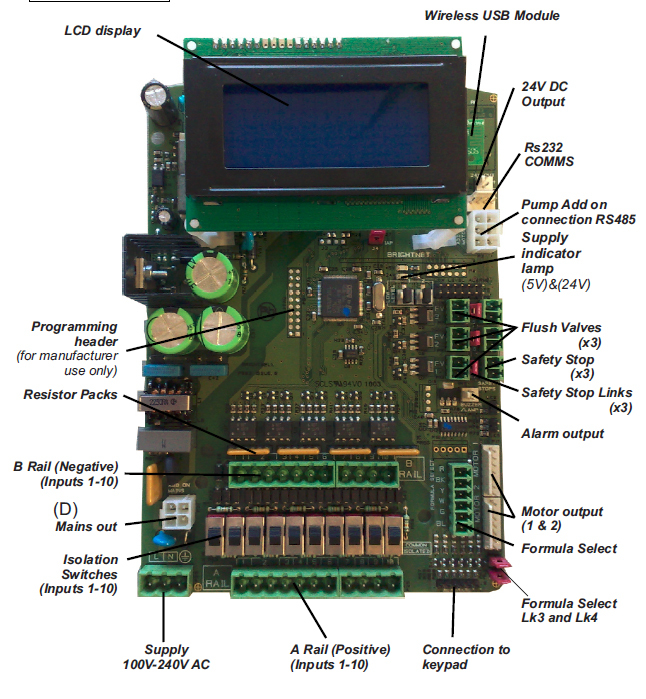 They are compatible with both intelligent and non-intelligent machines up to 220 lbs** and can be used in relay mode or with a formula select programmer. 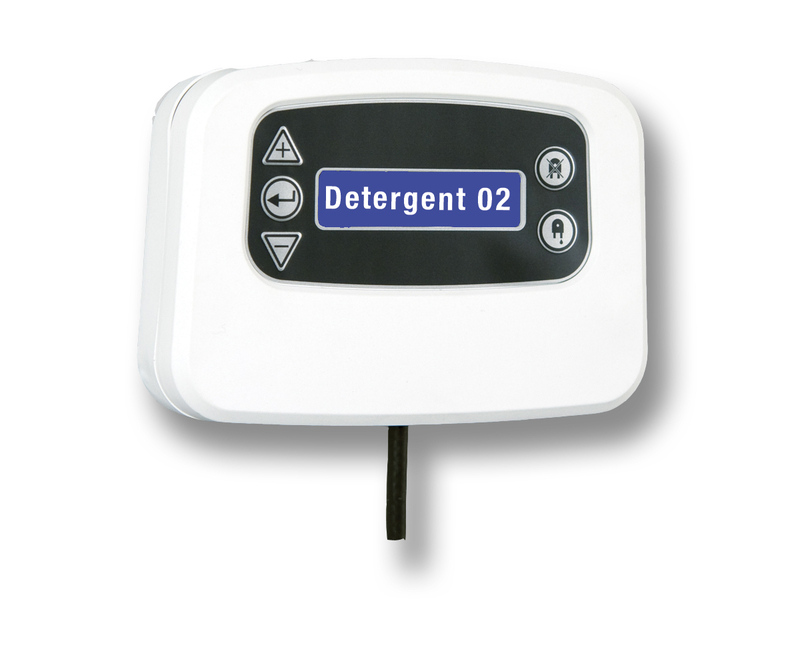 Branding options are available to add the name, the logo or the contact details of any company to the dosing system. 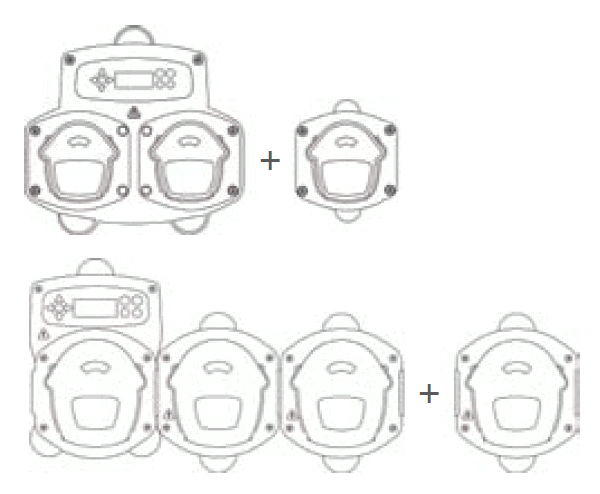 H2 - 11 1/4" x 14 3/4" x 5 1/2"
H4 - 11 1/4" x 28 3/4" x 5 1/2"
H6 - 11 1/4" x 43" x 5 1/2"
H8 - 11 1/4" x 57 1/4" x 5 1/2"
H10 - 11 1/4" x 71 1/2" x 5 1/2"
The flush manifold will use water pressure to pump your laundry chemicals over a long distance. 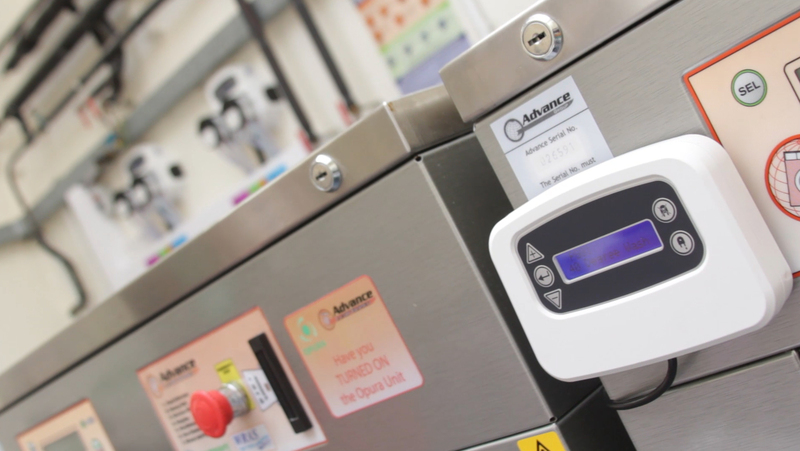 The low level pick up tubes allow you to distribute up to three dosing units from one chemical drum. 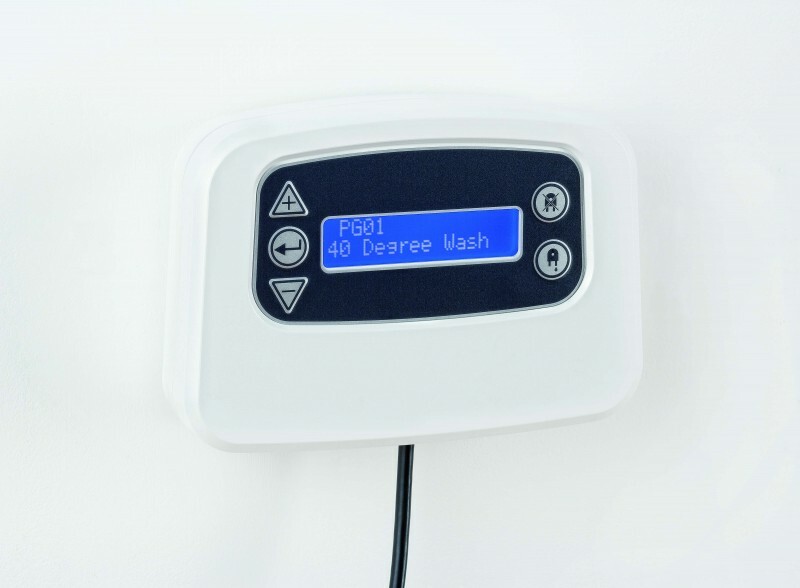 Peristaltic pump tube is critical to the performance of any dosing system. 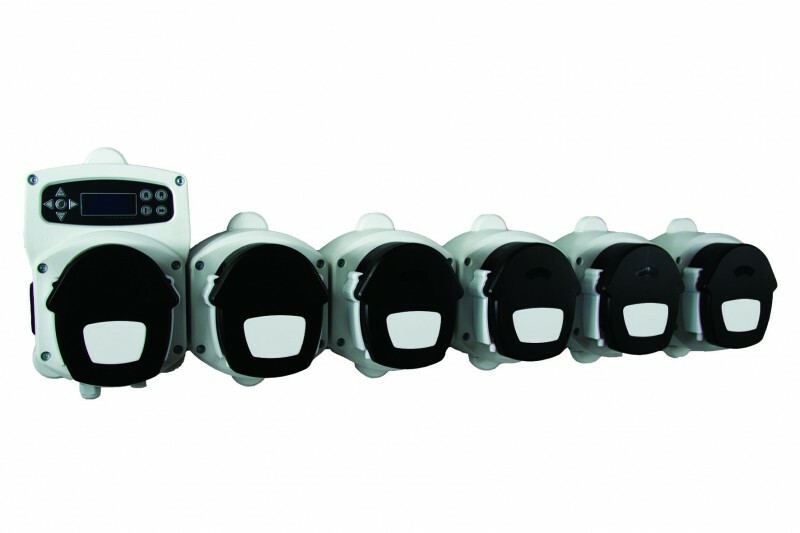 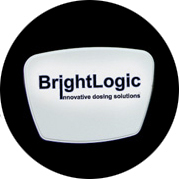 Connected to a dosing unit or with its own power supply the BrightLogic low level alarm will monitor the level of up to 10 chemicals. 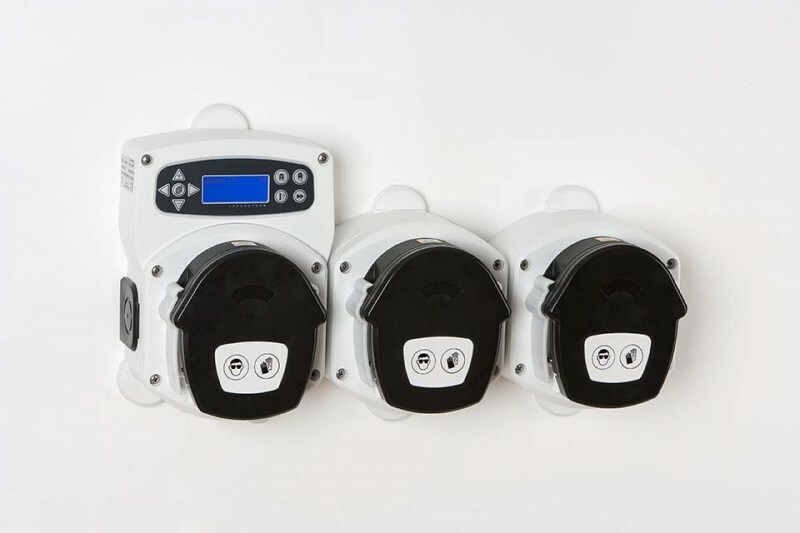 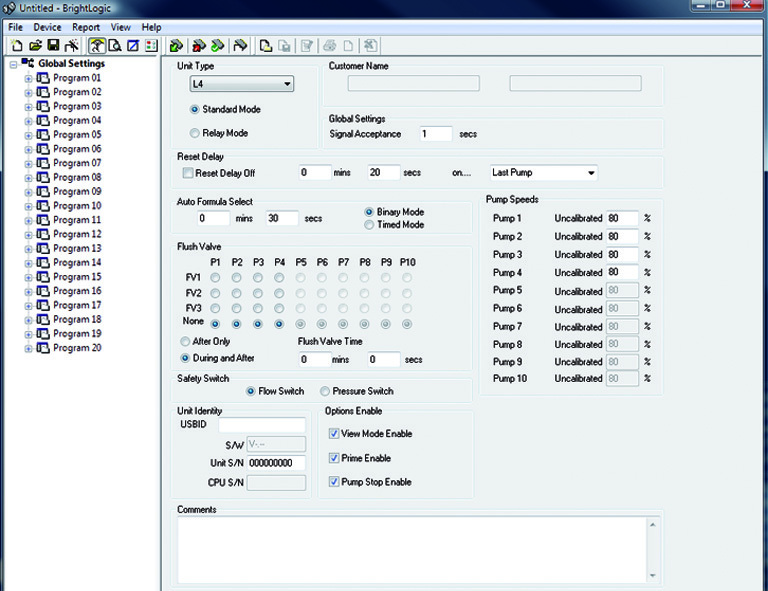 If you need a higher flow rate than 1000ml per minute, the 10 pump controller features all the same software and hardware features of the BrightLogic system. 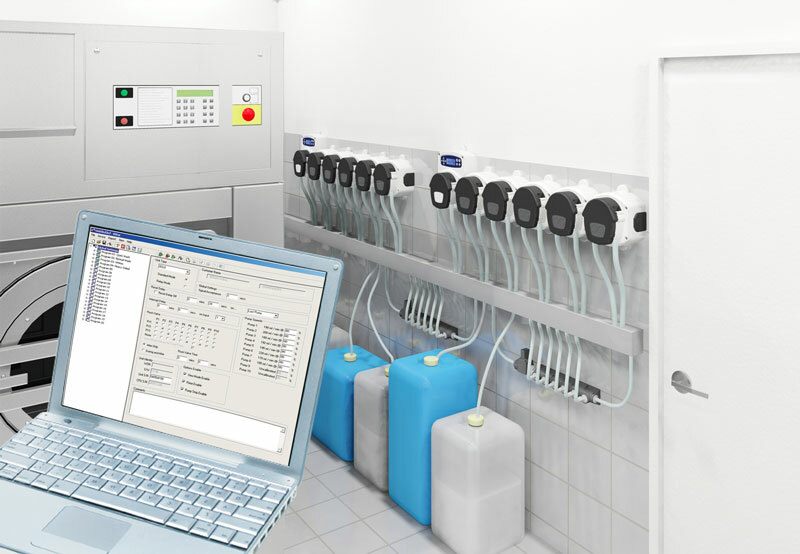 While other laundry systems offer expensive computerised control solutions, BrightLogic makes it simple and affordable.